Mother’s Day is right around the corner! Are you looking for something that will last longer and is more unique than a traditional bouquet of flowers? Why not consider giving Mom the gift of an original painting, which costs the same! Take a look at our paintings below or see more options here if you’re on the hunt for the perfect print! Each painting is an original, Jill Perla work of art which can be shipped or delivered to addresses within the NOVA region. Jill is able to ship all over the country and will make sure to get your new piece delivered in time for Mother’s Day. If you don’t see colors that you like, don’t fret – Jill is easily able to come up with a customized color pallet that is sure to fit your personal aesthetic! For those extra picky mothers out there (or their indecisive children), Jill also offer gift certificates and welcomes commission requests. Get in touch with her now to learn more! If you’re interested in a Mother’s Day gift that’s interactive and also a great bonding experience, how about signing up for one of Jill’s events! 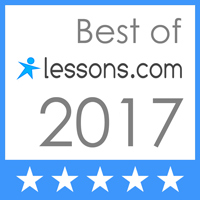 Lessons.com recently named Jill as one of the best art instructors late. Stoneleigh Golf and Country Club is joining forces with one of Loudoun County’s most sought after artist, Jill Perla, for an evening of fun! Grab your besties while, Jill helps you paint this ocean scene to hang in your home or office. All supplies as well as heavy finger foods and beverages! Any questions please contact Jill at PerlaInsideArt@gmail.com. Register now to reserve your spot! Learn More / Get Tickets Here. Please Contact Jill if you’d like her to customize a painting for you!